UNITED NATIONS, January 29 -- The dynamic in Haiti, according to Ban Ki-moon's envoy Edmond Mulet, is of heroic and restrained peacekeeping troops, 80% of them from Latin America, confronting gangsters and bandits and practitioners of voodoo. At a UN press conference on Monday, Mr. Mulet said that everyone in Haiti supports the UN mission, which as he describes it is laying medieval siege to Cite Soleil and "squeezing, squeezing," until the gangsters are pushed out. Video here. Inner City Press asked Mr. Mulet where, if anywhere, the UN mission acknowledges when civilians are killed during flurries of action in this siege. In response, Mr. Mulet gave assurance that such public acknowledgements are made. 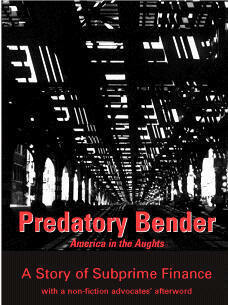 Afterwards Inner City Press asked his spokeswoman to provide direction to any such disclosures. "Check the mission's site," the spokeswoman said, adding that although she had no business card with her, this too could be found on the web site. The site is slow, only in French, and the press contact page is "en construction," click here to view. So much for acknowledgments. What's lacking, too, is honesty and humility. Perhaps because Haiti faces such difficulties -- 65% of its governmental budgets comes from international sources -- Mr. Mulet appears to believe that he must peddle in wishful thinking and absolutes. No one in Haiti is a drug addict, he said. And, everyone supports us being there. But there have been demonstrations to try to hold MINUSTAH and its soldiers accountable. Demonstrations of gangsters, Mr. Mulet would say. Some wonder, is this type of demonization consistent with the UN Charter? And why is it that some UN envoys, like Mr. Mulet and envoy to Central African Republic Lamine Cisse, think their job is to come to UN headquarters and paint rosy or cartoon-like Polyanna pictures, whatever the situation on the ground? The incumbent Special Representatives of the Secretary General need to be evaluated and at least graded, if not changed. We'll have more on this in coming weeks. A more balanced source, present at Monday's press conference but later requesting anonymity due to UN position, acknowledged that not all those who question MINUSTAH are gangsters, but added that since the kidnapping of a busload of children, more Haitians have accepted continued MINUSTAH presence as necessary, and better than the alternative, for now, if the UN were to leave. Many of the kidnappers, it is said, are Haitians returned from New York and Detroit, who do not speak Creole but rather English (this apparently is the testimony of some of those kidnapped and released). These are the nuances that provide a better justification for MINUSTAH than Mr. Mulet did, at least publicly. 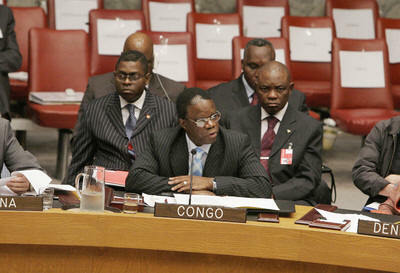 Mr. Mulet also provided a private briefing for the Security Council. Afterwards, he declined to characterize the briefing. Inner City Press asked if the issue of Haiti's support for Taiwan had come up, as explaining China's reported moved to problematize the extension of MINUSTAH's mission. "You should ask the Security Council," Mr. Mulet said. And Inner City Press did, asked Russian Ambassador Vitaly Churkin, Council president for two more days, if the issue of Taiwan came up in the Council. He said no, click here for video. Afterwards another Council diplomat on condition of anonymity acknowledged that Taiwan is the elephant in the Security Council consultations room on Haiti, as it was recently on extended the Liberian diamond sanctions. The diamond issue concerned a move, or comment, by a Kimberly Process staffer in Brussels about perhaps allowing Taiwan into the Process. China opposes countries recognizing Taiwan, and Taiwan's inclusion in any international bodies, including, we're told, the UN press corps. For three months, NTD-TV was allowed in the UN, and then it was stopped. And this is no longer challenged or even discussed. Perhaps with so much stilted silence, Mr. Mulet's rosy picture should not be a surprise. The question is whether Haiti and Haitians are best served by such partial pictures. Time alone will tell. 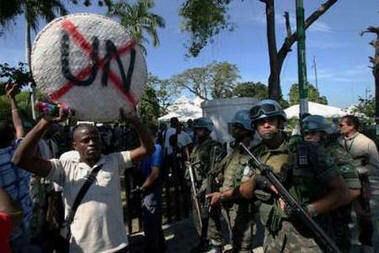 UNITED NATIONS, November 14 -- The UN says things are getting better in Haiti. Days after two UN peacekeepers from Jordon were shot and killed in Port-au-Prince, Inner City Press asked Under-Secretary General for Peacekeeping Jean-Marie Guehenno to describe the level on conflict in Haiti. Mr. Guehenno advised to "look at the statistics, which I don't have at my fingertips today, but show that the number of violent acts per month has decreased." 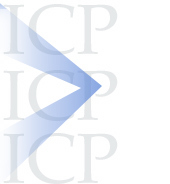 Inner City Press has been given, by the UN in Port-au-Prince, the following numbers for kidnappings in Haiti: June: 30; July: 55; August:78; September: 45; October: 27. Mr. Guehenno called the two peacekeepers' deaths tragic and said they had been "returning from patrol" when they were "apparently shot at point blank range by..." His voice trailed off. Video here, from Minute 7:05. Here's what we have on the developments in Haiti: On UN Day and later in the week there were a number of anti-MINUSTAH demonstrations. It began with about 30 students, displaying anti-UN signs and chanting slogans protesting the presence of UN peacekeepers. Some of the demonstrators started to throw stones, breaking the windshield of two UN vehicles parked nearby. By that time, most guests had already left the ceremony. No one was injured. Later in the afternoon, another group of more agitated demonstrators gathered in the vicinity of the Presidential Palace. Two UN Police vehicles and one UN minibus driving in the area were damaged after receiving stones. 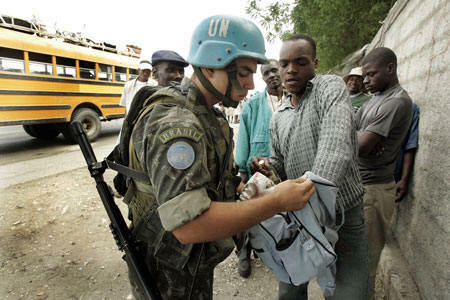 Four students were arrested by the Haitian National Police in connection with the incidents... On 27 October, UN peacekeepers reported that 400 people held a peaceful demonstration in the vicinity of Strong Point 16 and Avenue Soleil 9 in Cite Soleil to demand the departure of UN peacekeepers. At one point, some demonstrators tried to force their way into the Strong Point 16 but were prevented from doing so by MINUSTAH troops. The crowd dispersed at about 1:00 pm without incident. According to reports, a second demonstration of some 100 people was held simultaneously in the Drouillard area of Cite Soleil near Checkpoint 20. No incident was reported. As far as we know there were no casualties during any of these incidents, apart from damage inflicted on some of our vehicles. A few inside-the-UN notes that we're compelled to include in this report, given the above-reproduced response from assistant spokesman Ari Gaitanis: he's headed to Lebanon, and it's said that his office will be given over to the spokeswoman for Ban Ki-moon, the incoming Secretary-General, Ms. Choi Soung-ah. Here's a first question: what is Ban Ki-moon's response to calls that he address human rights in Zimbabwe? Speaking of Zimbabwe, at Tuesday's noon briefing, Inner City Press asked Kofi Annan's spokesman to respond to a statement Monday by biographer James Traub, that Annan deferred to South Africa's president Thabo Mbeki on human rights in Zimbabwe. Video here, at Minute 18. "I would have to look at the quote," responded Mr. Annan's spokesman Stephane Dujarric. Hey, it's in Traub's book, at page 409: "in fact, Annan conceded, Mbeki did nothing." Then what did Annan do? Tuesday Inner City Press asked if Kofi Annan will be doing anything at all about Zimbabwe before he leaves at year's end. "I can't speak to that" today, his spokesman answered. Then when? The clock is ticking down, on the Kofi Annan decade. Finally, an update on the November 10 Security Council meeting: the U.S. representative at the meeting, William J. Brencick, opposed sending a formal Council delegation to the Darfur meeting in Addis Ababa. 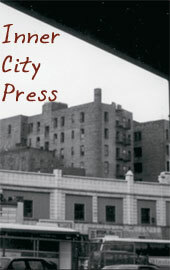 Tuesday Inner City Press caught up with Mr. Brencick and asked, why? "They tried to put the trip together in two to three days, instead of the two to three weeks required... There was no agreement on the terms of reference. Some thought it was a negotiating session with the Sudanese government. Others thought it would be to restate Resolution 1706. Our proposal, which the UK supported, was to send a small delegation. But Russia didn't accept this." On Friday night outside the Council, a different story was told -- at least by Russia. Inner City Press asked Mr. Brencick who else discouraged a formal Council trip to Addis, following reports that this was the Secretariat's advice.